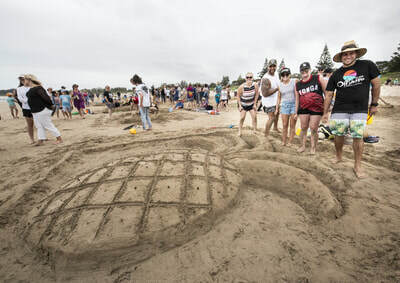 Cloudy and cool it might have been but the competition was hot at Broulee’s 17th New Year Eves Sandcastle competition. 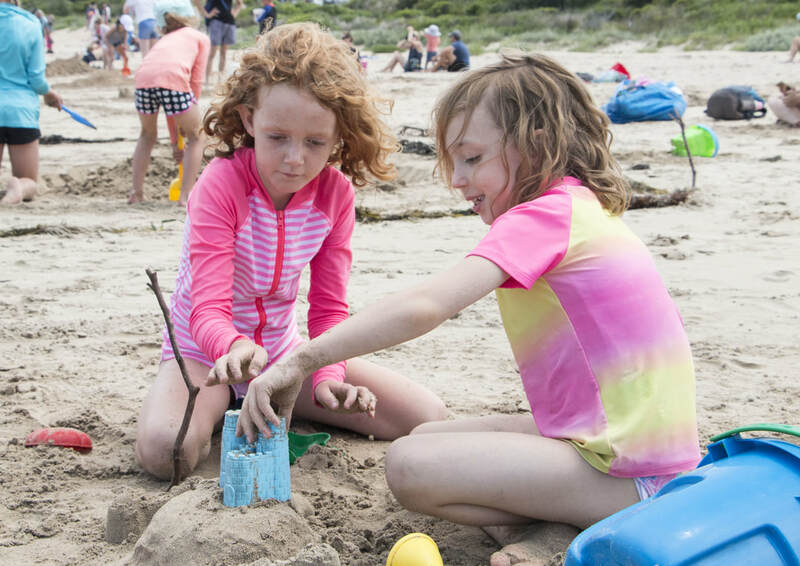 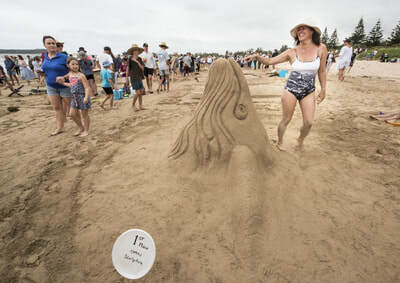 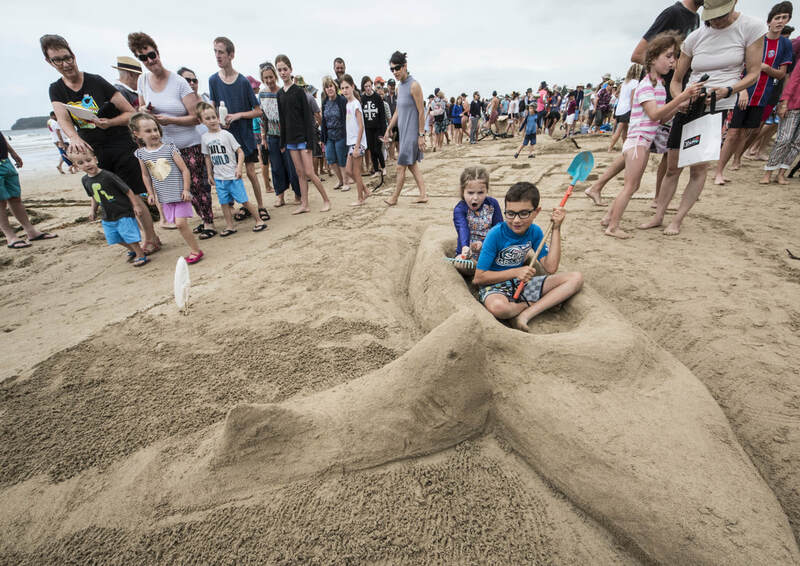 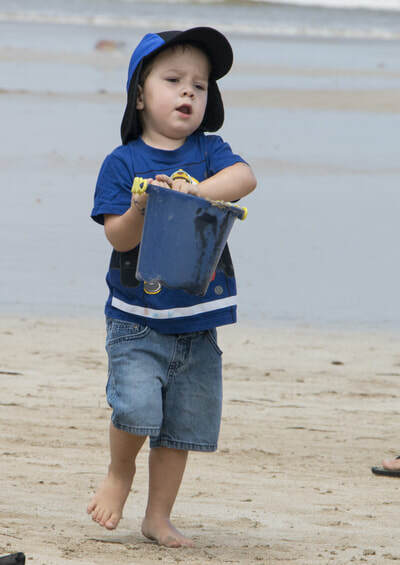 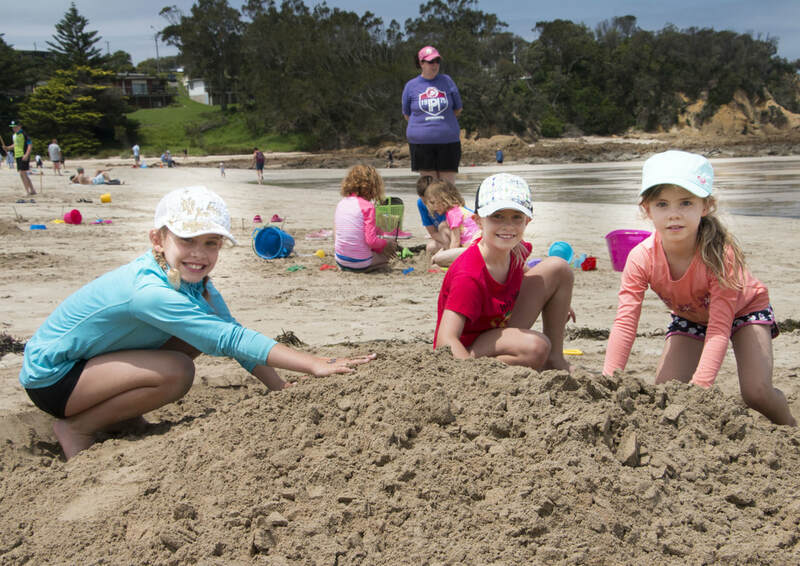 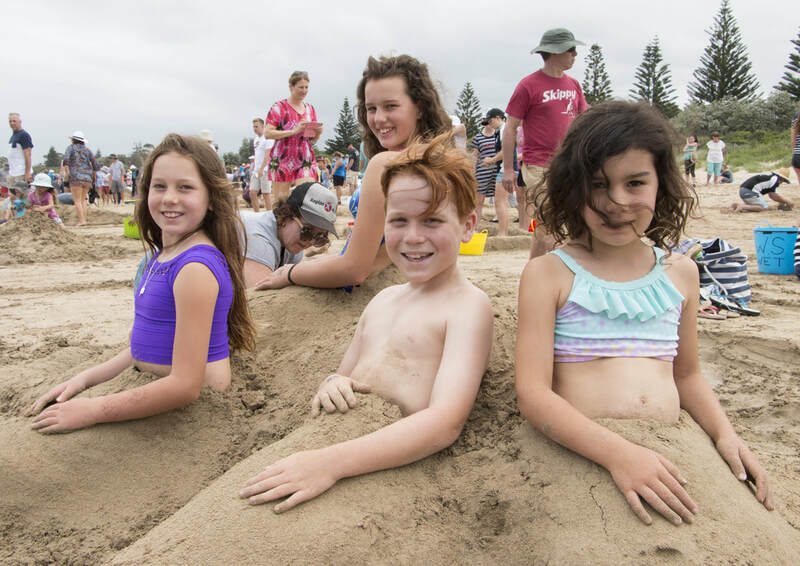 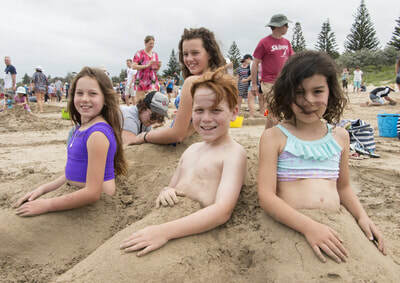 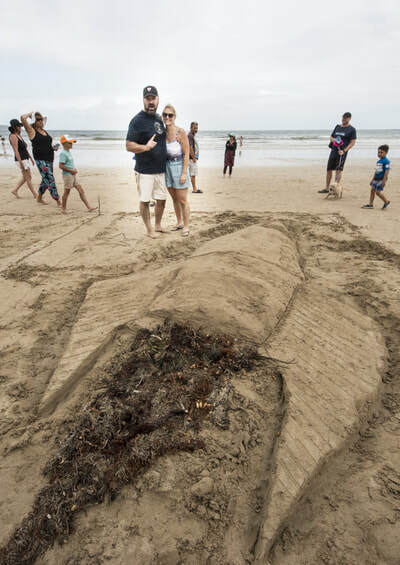 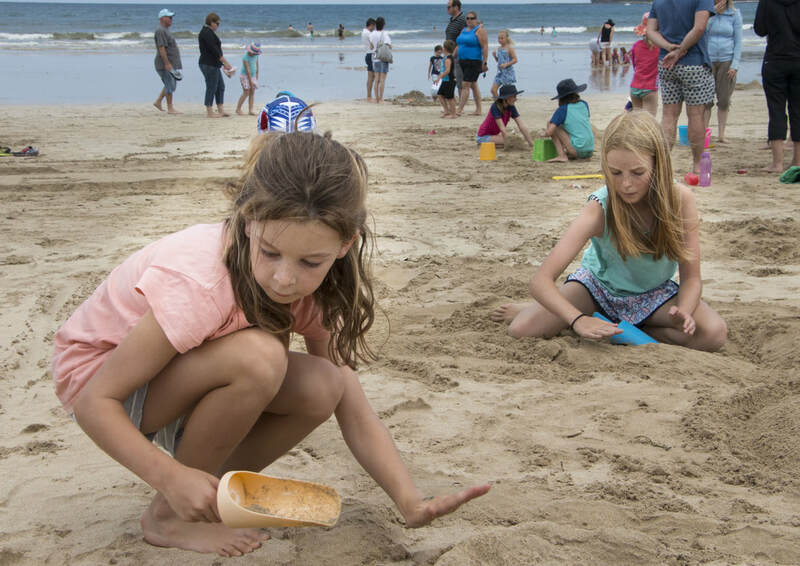 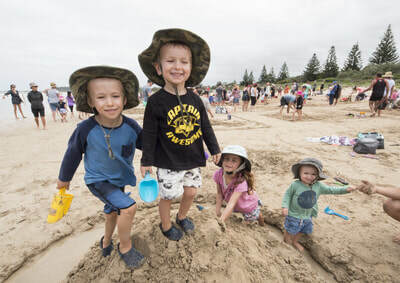 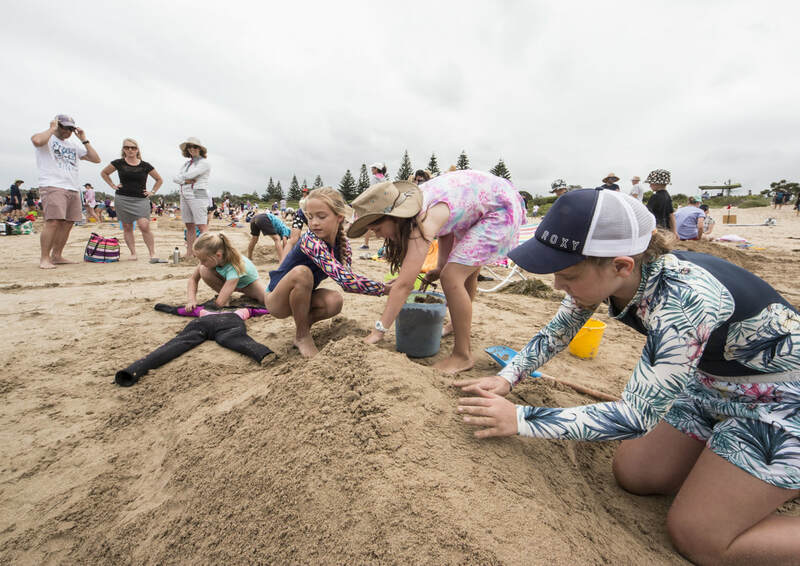 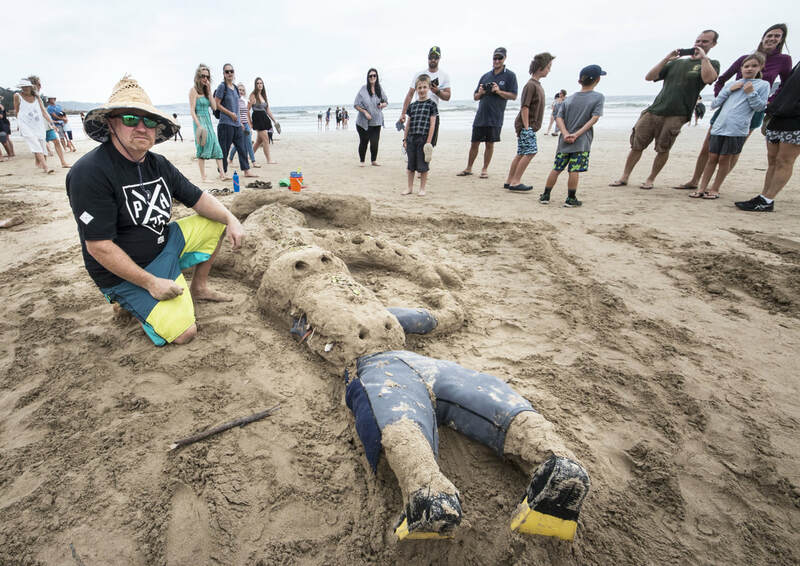 Some 3000 were on hand to cheer on the 97 groups of sculpturers as the normally placid sands of North Broulee Beach erupted in a plethora of castles, wildlife, rockets and cars. 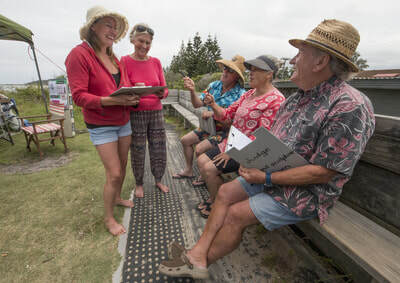 A happy infectious vibe permeated the whole event according to Deb Waser who organized it for the Broulee Mossy Point Community Association. 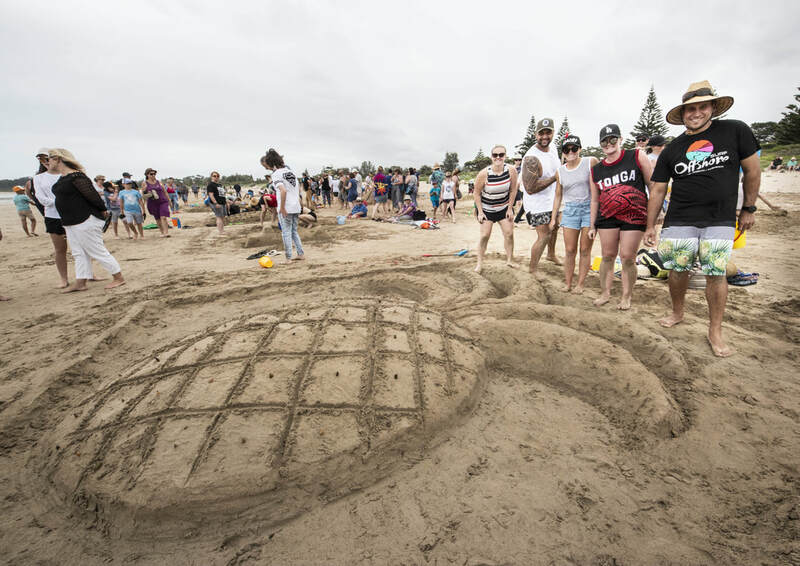 “We are lucky to have just the best beach, best sand and best community support for the competition”, she explained. 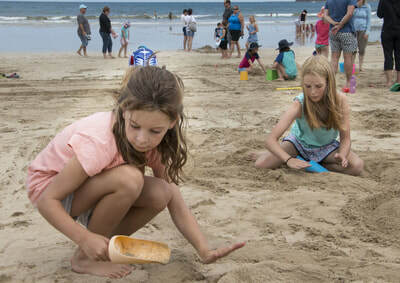 Viewing the exhibits was tricky even dangerous. 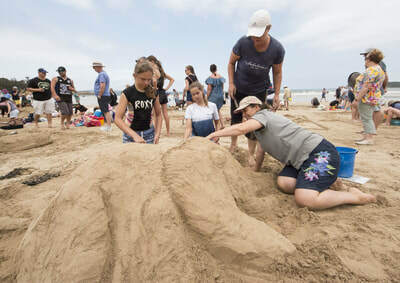 The turtles were disturbingly large. 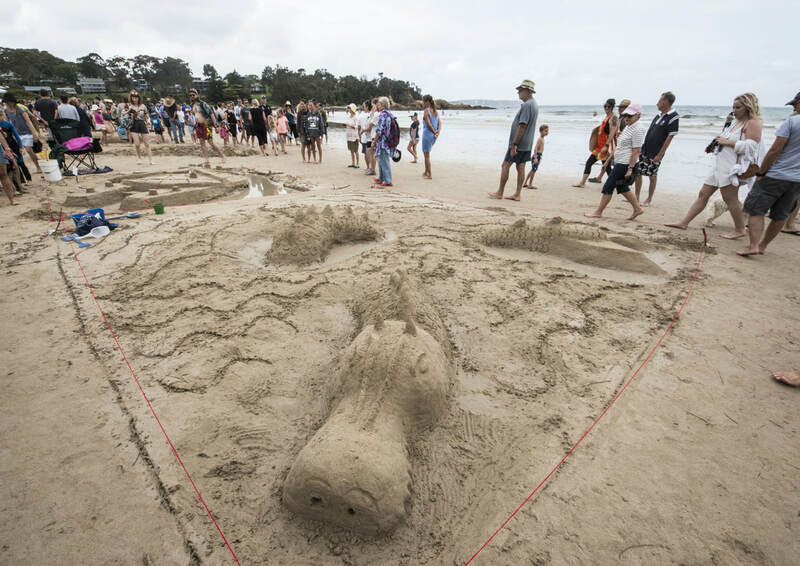 A Loch Ness hippo visited the beach for the first time. 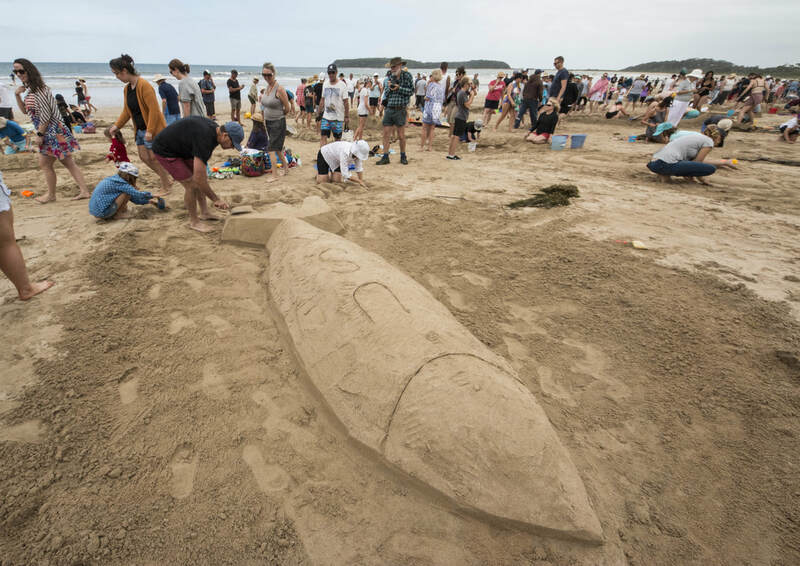 You had to avoid the shark attacking the Hewitson family’s boat or the crocodile half way through eating Robert Kennedy’s companion or the Shanahan family’s rocket set at a trajectory low enough to wipe out most of their competitors. 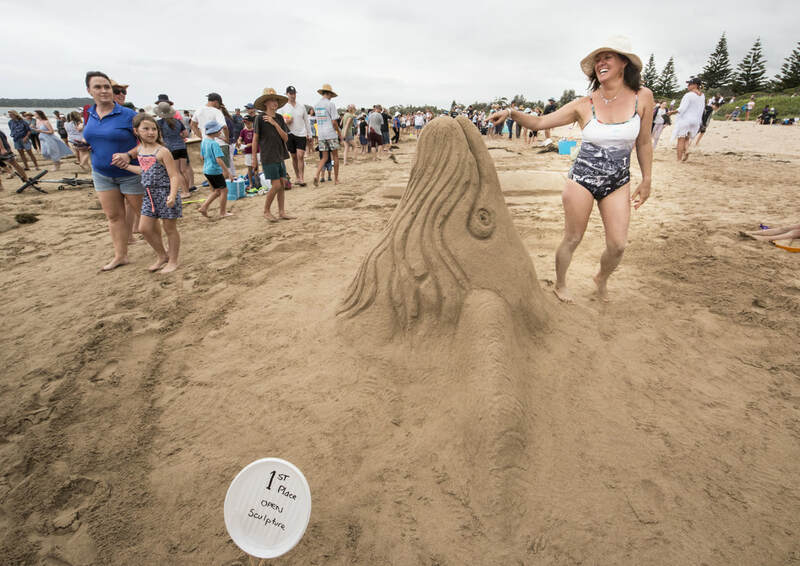 Perhaps even more dangerous was the task of judging . 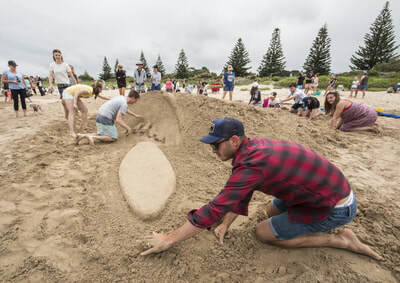 The organizers went with the theme of 'local artists and local legends' for judges in Greg (Red Kombi) and Anna (Single Fin), Dawn Ingles and her daughter Jenny, and Chris (Purushka) and Pauline Hicks. 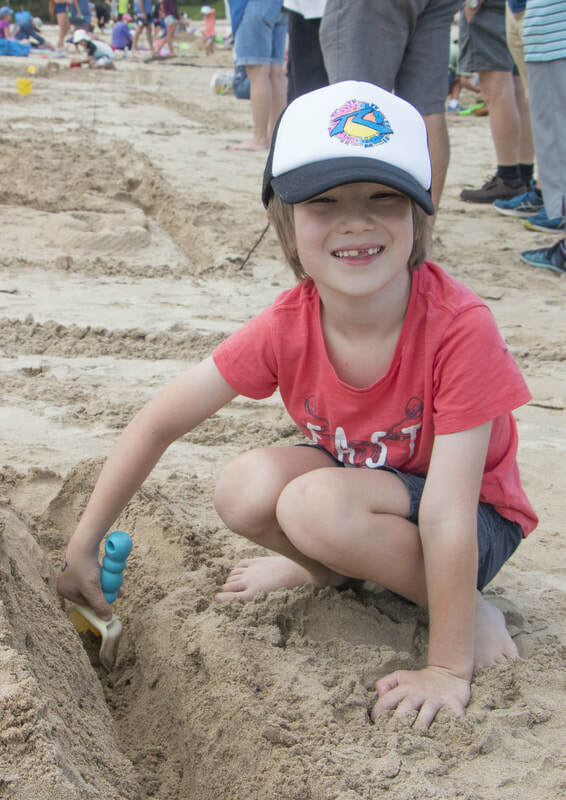 “They did a brilliant job”, according to Mrs Waser. 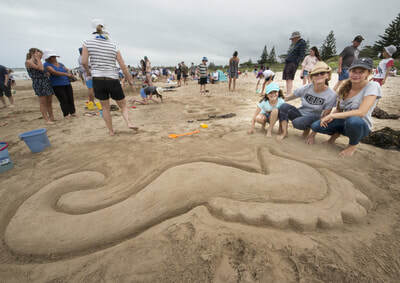 Locals, interstaters and overseas visitors gave a cosmopolitan flavor to the afternoon. Diotima Chrobok of Germany didn’t actually deny that she timed her visit to Cate O’Rourke and Helen Watson of Surf Beach to coincide with the competition. The organizers paid tribute to the local businesses who contributed so wholeheartedly to the event. Broulee Surf School and Total Eco Adventures was the generous presenter of the event, which had additional support from Mogo Zoo, Single Fin Canteen & Goods, Broulee Offshore Surf Shop, Milstons Past & Present of Mogo, In & Out at Mogo/Mogo Village Centre and Fudge Shop, Broulee Beach Pharmacy, Broulee Surfers & Surf Life Saving Club. 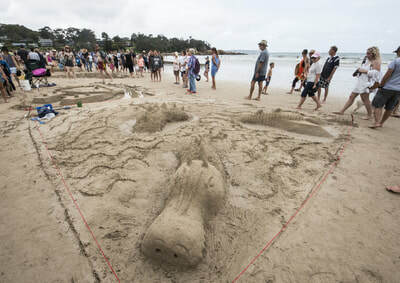 3177 Unfortunately a crocodile ate one of the contestants. Robert Kennedy of Melbourne survived.